There are some pros and cons when looking at Global Blend, so let’s start with the pros. This is a nice concentrate that will provide you immune support and rid your body of free radicals. It has a strong yet fruit like flavor that is easy to take one capsule at a time. A con is simply the price tag that comes with buying this product and investing in this company. It is also an MLM type of business which can cause unwanted pressure to those buying and selling. Another con is the MLM style of business that comes with Xyngular products, as they can come across as pushy. The Bottom Line: There are not too many pros and cons with this product as it is overall a nice product safe to take but the price tag and MLM style of business is one to be aware of. There aren’t many reviews outside of the official website that are readily and easily found. It has only two reviews on Amazon.com. First one only gives it 1 Star based on the look and feel of the bottle, not much was said about the effectiveness of the product itself. Most other reviews found online talk about Xyngular in general (products that are geared towards weight loss) rather than particularly about the Global Blend. Is GLOBAL BLEND Worth A Try? Xyngular does a good job of providing different products across the board to those who are interested in losing weight or becoming more healthy. The Global Blend is a nice touch to immune support, and the ingredients are all clean and well represented. The reviews are middle of the road. It is on the expensive side which is a con, and it is not going to be doable for most people. If you take two cap fulls a day you will only have this $50 bottle for 2 weeks. This is a large amount of money for the immune health considering that spending $50 every two week could go a long way when investing in organic spinach or other nutrient dense clean products. Bottom Line: Global Blend has some solid ingredients and has potential to provide positive effect. How Does GLOBAL BLEND Work? This is a concentrated juice, and the instructions are to take 1 cap full of the concentrate for optimal daily health. Each cap full is 1 fluid ounce. Shake well before taking the product, and always refrigerate after it has been opened. The company says you can do this twice daily, but anymore and you will be using too much. For one bottle it will cost around $50 as a non-member, and $40 for a distributor or member. Along with the super fruit blend, it also contains a variety of vitamins and minerals for optimal health. One bottle should last around two weeks to one month. The Bottom Line: This product contains vitamins, minerals, and super fruit blends. It is $50 for one month’s worth. The ingredient list: fruit juice crystals, apple extract, grape skin extract, blueberry, blackberry, concord grape extract, cranberry extract, pear juice, acai fruit, green tea extract, sea buckhorn, prune, tart cherry extract, wild blueberry extract, strawberry extract, white tea leaf, aloe vera juice concentrate, goji berry, mangosteen extract, and melon extract. Overall, this product is safe and there are no real side effects that come with taking it. The only unsafe reality about taking a chance with Global Blend is simply the price tag that comes with it. The Bottom Line: This product is safe, and the company is straight forward with the ingredient list on the main website. 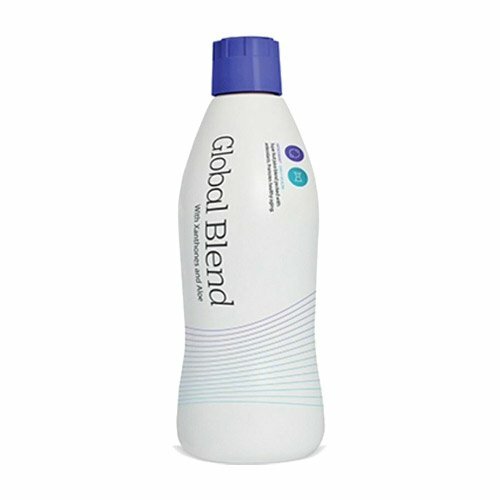 Global blend is a concentrated antioxidant drink mix made by the company Xyngular. The blend is meant to neutralize your body of free radicals and boost your immune system. The company that produces this blend offers a variety of health and wellness products including weight loss supplements, probiotics, and many more. The concentrate is said to have anti-inflammatory properties for overall better health and pH balance in the body. Xyngular also offers a MLM style of product marketing, and they speak more about it on the main website. This product is nice. The reviews are middle of the road. Xyngular does a good job of providing different products across the board to those who are interested in losing weight or becoming more healthy. The Global Blend is a nice touch to immune support, and the ingredients are all clean and well represented. It is on the expensive side which is a con, and it is not going to be doable for most people. If you take two cap fulls a day you will only have this $50 bottle for 2 weeks. This is a large amount of money for immune health.